Happy Tuesday! Maybe it’s because I’m ready for cool weather or because fall items are hitting the new arrivals sections of my favorite stores, but all I want to do is share fall/winter finds! I’m trying to dial it back though, because it’s the dead middle of August and we’ve still got quite a bit of summer left… at least here in Texas! 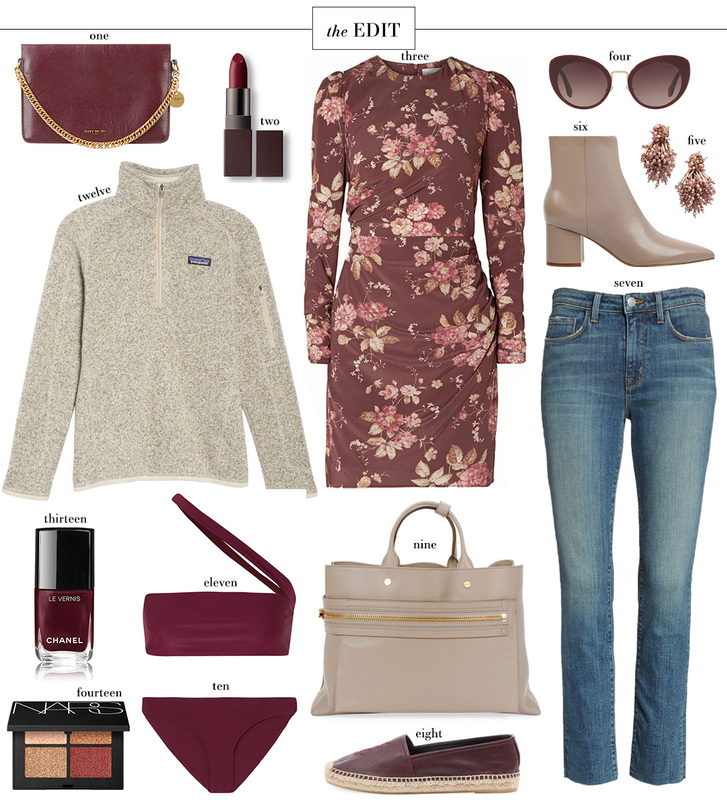 While this week’s EDIT has a fall feel, most of these items are lightweight and would be great transitional pieces as we slide into the fall season. Naturally, I’m obsessing over everything Zimmermann. There are so many amazing pieces from their new fall collection that are ending up on my wish list… don’t miss these in particular! I feel like I probably need to get my hands on this number. It’s my color, my favorite silhouette and such a classic, knock-out look! It also comes in this midi style! The neutral lover in me also has this dress on my wish list. So sophisticated and effortless! It’s one you could wear to work, church, weddings, etc. These wide leg silk pants are just gorgeous, don’t you think? I’d love to style them with winter white for a creamy, neutral look. This garnet-hued dress would look fab for a fall/winter wedding! The print you see in this collage also comes in this breezy belted slip dress, perfect for wearing into fall here in Texas. Here is Zimmermann’s take on the polka dot trend. So fun! I’m really loving this board! I’m an Aggie so gimme all the maroon!